Start saving your empty feed bags! It's so easy to sew up these cute stockings to give as holiday gifts to your chicken-loving friends - maybe filled with chicken treats or other chicken-themed items. 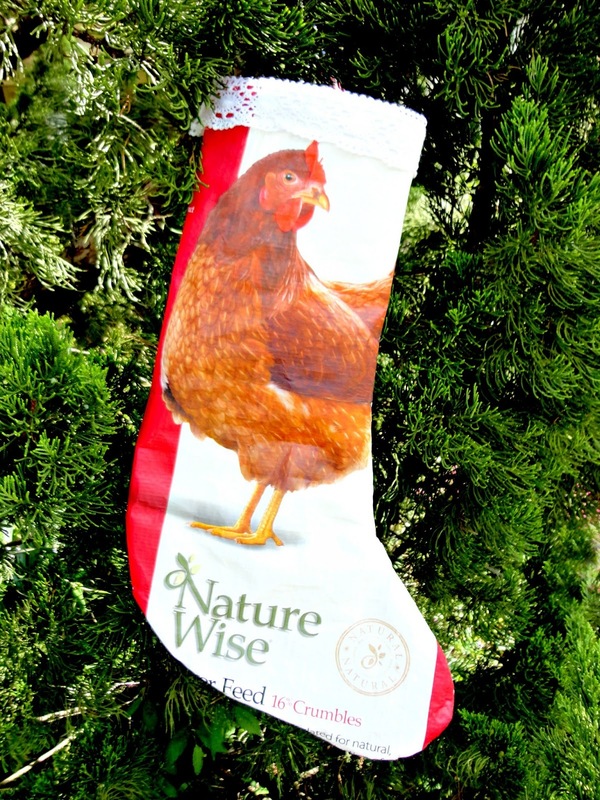 And if you decorate your coop for the holidays, a row of these stockings would look adorable. Sturdy, durable and weather-resistant, the stockings are appropriate for indoor or outdoor use. With just basic sewing skills, an empty feed bag and some scrap lace you can whip up a bag for each of your chickens in no time. 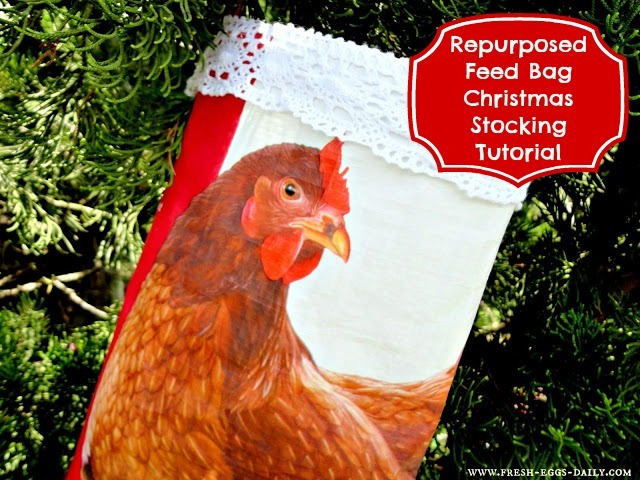 The easiest way to make your stocking is to use one of your own Christmas stockings as a template. 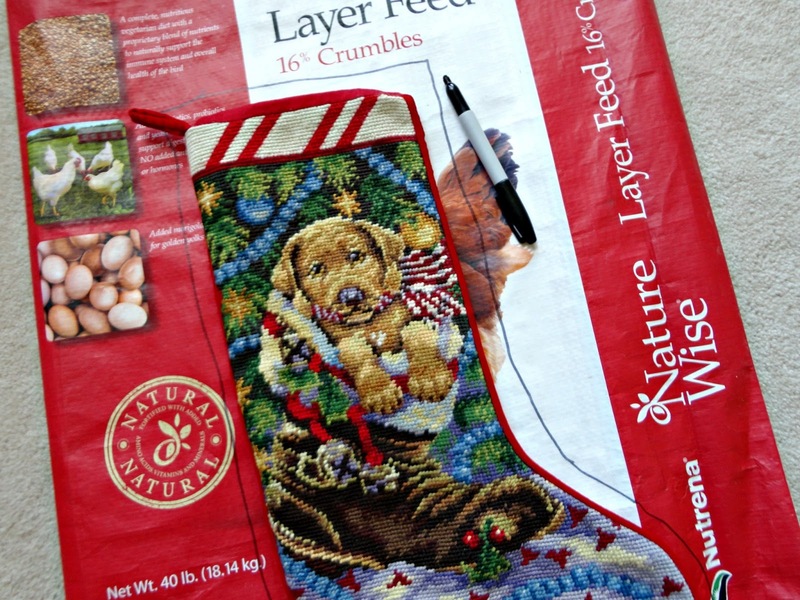 Using a Sharpie pen, trace the outline allowing for a ½” seam allowance, centering the design where you want for the front of the your stocking. 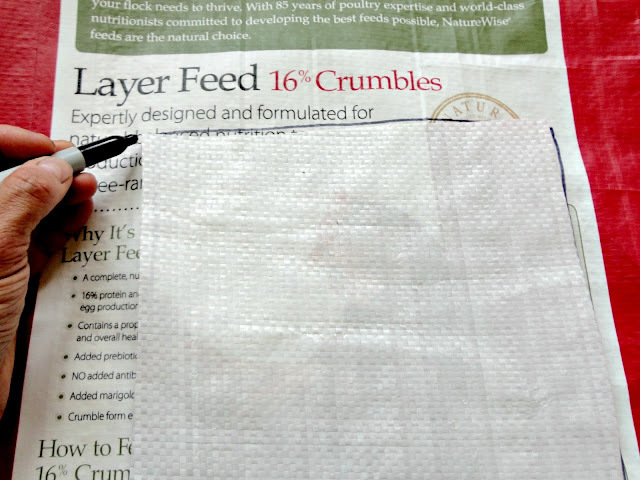 Cut out your front and then flip it over and trace the outline on the back of the bag for your stocking back. Also cut a 6” x 2” strip to use to hang your stocking and set aside. 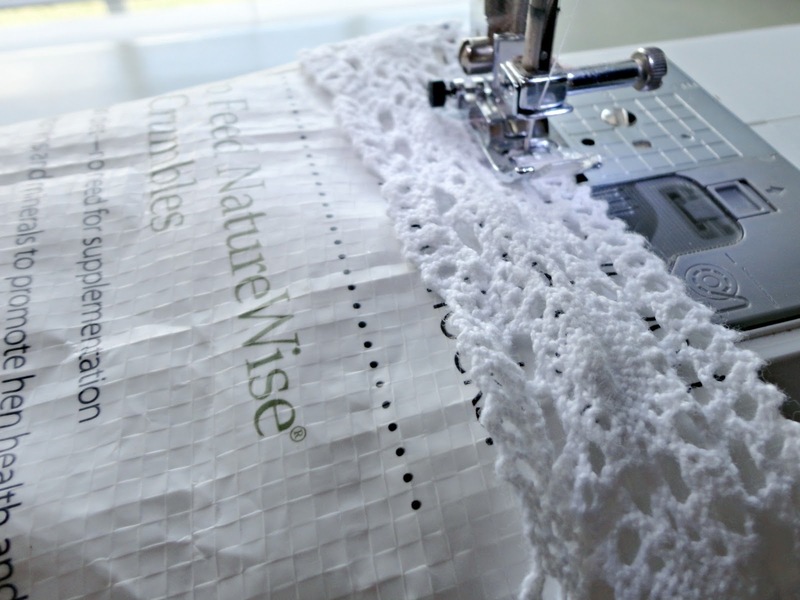 Sew along the outer edge, leaving the top open and a ½” seam allowance. 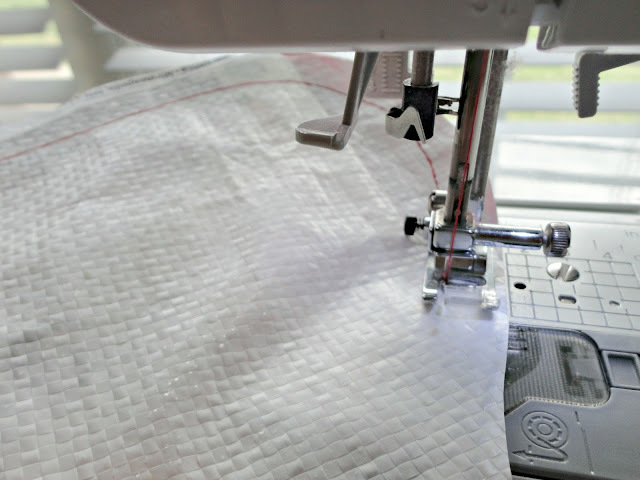 Then trim close to your sewing line, using pinking shears for a neat finish. Turn your stocking right side out and pin your lace trim along the top edge. Sew along the top to secure. 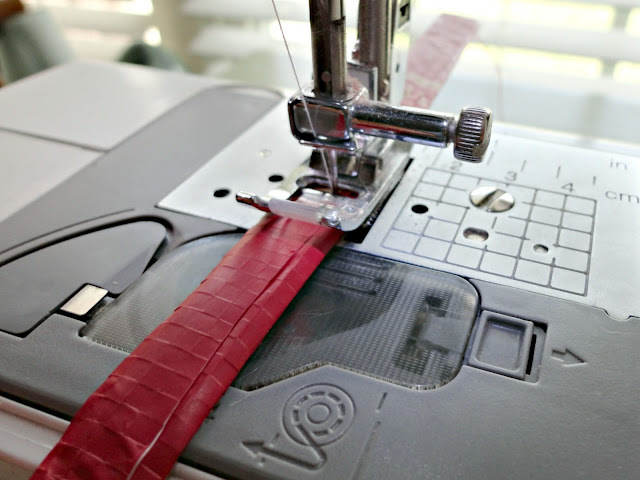 Fold the small strip you cut earlier into thirds to form the hanger and sew down the middle to secure in place. 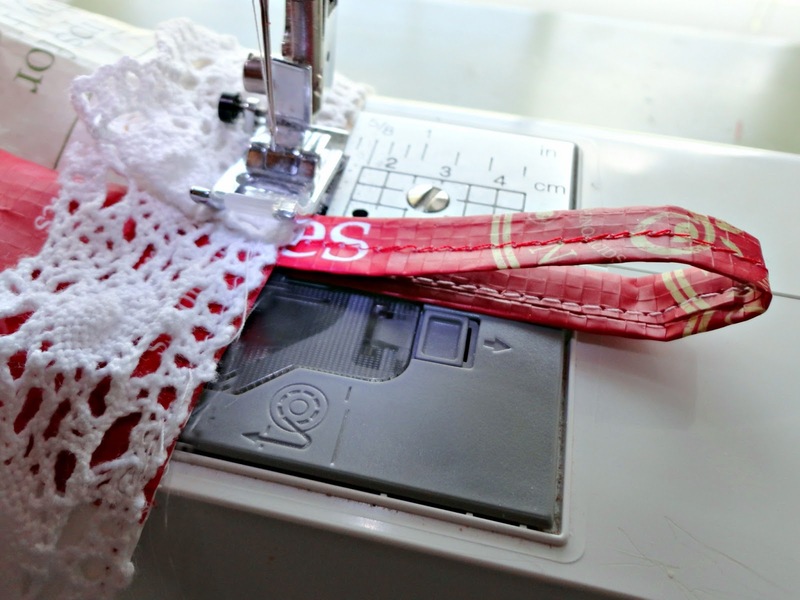 Then fold in half, tuck the ends inside the stocking and sew to the top edge of the heel side of your stocking. That’s it. 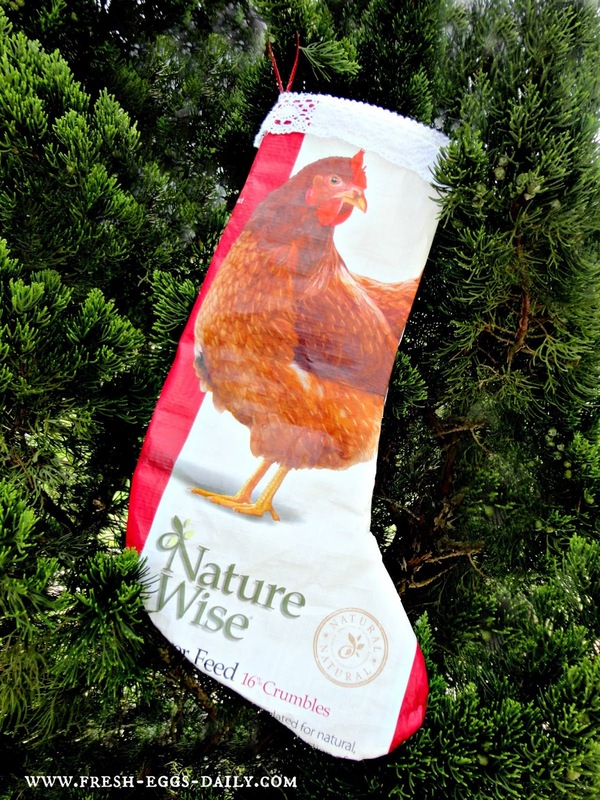 Your stocking is finished. Lisa that is so darn cute. Gosh I wish I had learned to sew. I even have my mom's old machine. Oh Elaine! Sewing is so much fun! Find someone to show you the basics - I mean all you need to know is how to go backwards and forwards! It will open up a whole new crafting arena for you! It sure would! Let me know if you make some! I love it! I just can't decide if I need these in the house, or in the barn!! :-) I have lots of good goat feed bags stashed away! That is so cool! 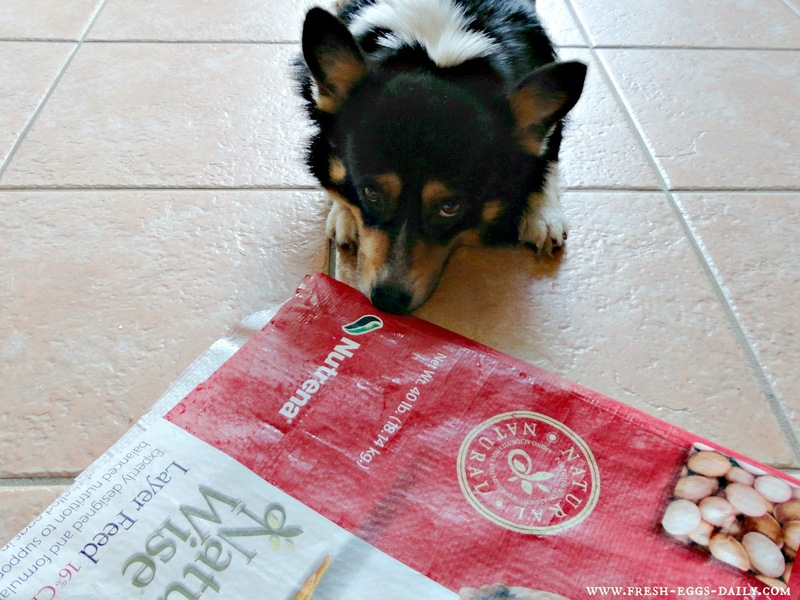 Nice way to recycle those bags!! These are cute. Might need to try a few myself. I made my first one! Umm....sure isn't like sewing on fabric! 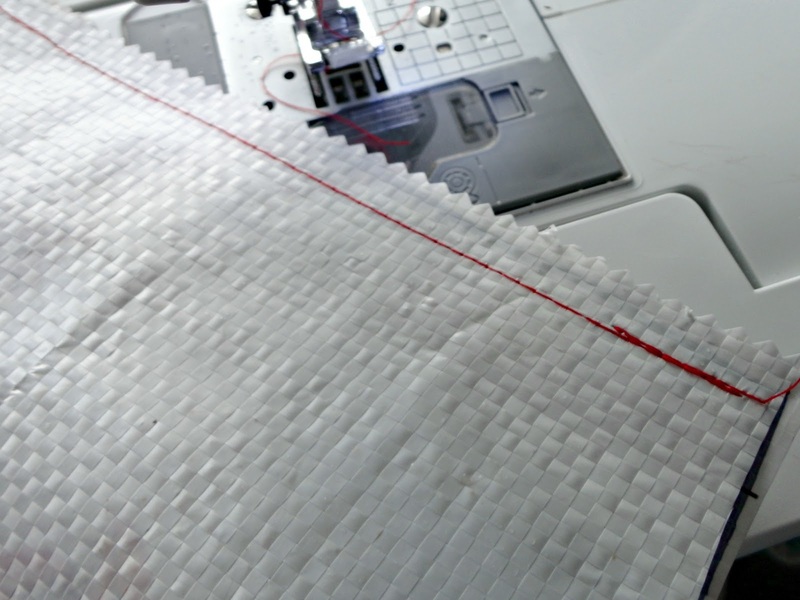 Nothing is straight at all..is that how yours turned out or do you have suggestions for sewing on this type of material? I just use a regular needle and thread. It is a bit different than fabric that's for sure but the bags aren't that thick so they sew up okay on regular settings for me.